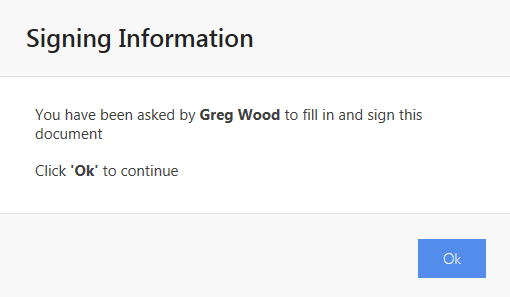 Once you have received an invitation to fill in a document and sign, click to sign on the email you received. The service will automatically look for any existing signatures and verify if they are valid. If no existing signatures are found you will see a notification popup explaining what to do. Review the document and fill in all details by clicking on each text box and entering the required information. A sign here sticker indicates where your signature/s will be signed. 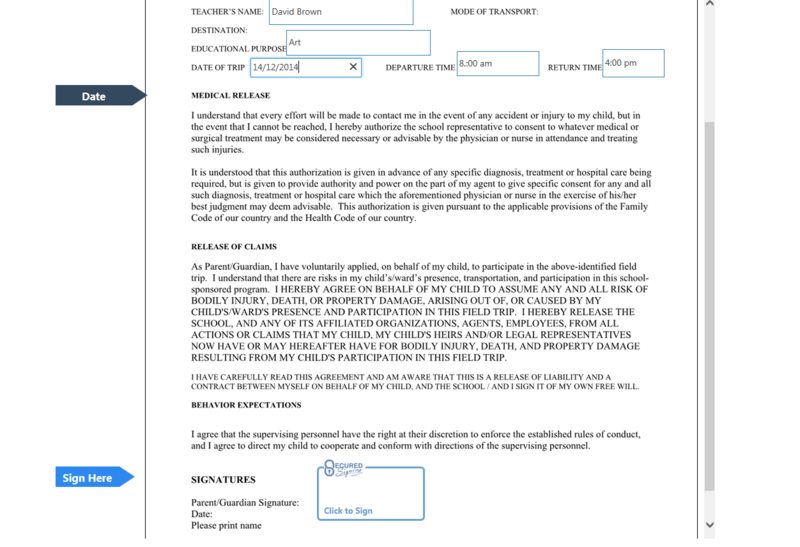 Once you have reviewed the document, entered all details and are ready to sign, click sign here button on the document. The service may ask you for additional details such as Job Title, Reason for signing and a Witness for Witness signing. Enter required details and continue. And that's it! The document is now signed and the document owner notified. You can view, download and verify the signed document.